TS Manufacturing is located in Lindsay, Ontario - the largest city in City of Kawartha Lakes. TS Manufacturing has been designing, manufacturing and installing quality systems for the sawmill & lumber handling, mining & aggregate, biomass & pelletization industries, for nearly 40 years. TS Manufacturing is a private family owned and operated company in Lindsay, Ontario. For over 40 years, TS has been a worldwide industry leader in rugged, automated machinery in various industries, but most notably sawmill, pulp & paper, biomass, and bulk material handling industries. We design and manufacture in house, and provide anything from a small single machine center up to multi-million dollar turn-key installations. Our product line is rather vast, and includes all sorts of multi-axis automated machines, including, troughed idler conveyors, Lumber Board Edger's, Headrig Saws, Stacking Lines, Lumber Trimming Lines, Sorting Systems, and the list goes on. Applicants are encouraged to view the website, www.tsman.com as well as our YouTube channel http://www.youtube.com/user/tsmanufacturing. Working with TS Manufacturing is a unique chance to take part in a growing company with projects all over the world. Our family oriented company ensures that you are not just a number, but a part of that family, where you are a part of an industry leading team of people all after a common goal. To be the best. Competitive hourly wage and benefit package with X1.5 OT after 40 hours/week. 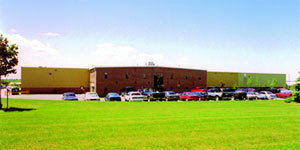 TS Manufacturing is located right in the centre of the Kawarthas. Just over 60 minutes to the GTA, and in close proximity to Hwy 115 and 401, Peterborough, Toronto, and all major Ontario Cities - they are easily within reach providing options for those who prefer the big city amenities, as well as those who prefer the small-town easy-going pace. For more information about Lindsay and the surrounding area, please visit http://www.explorekawarthalakes.com. The successful candidate will possess strong general mechanical skills to work in our design office in Lindsay, Ontario. Based on the candidates experience they will use their skills to successfully take projects from Project Managers and prepare designs for issue to manufacturing. In addition, they will provide shop and installation support for manufacturing personnel and customers. Salary range is based on experience and is $45,000 to $60,000. Interested applicants can submit their resume, in absolute confidence, to Careers@tsman.com. The successful candidate will possess strong electrical design skills coupled with good mechanical understanding to work in our engineering design office in Lindsay, Ontario. Based on the candidates experience they will use their skills to be part of our Electrical Design Team. The area of design includes a wide range of projects related to Bulk Material Handling Projects and/or Sawmill and Lumber Handling Machinery. Design/specification of electrical circuits/components and materials, technical selection, sizing and evaluation of equipment and parts. Detailed Design and CAD design completely or to support other designers/detailers in the department. Solid knowledge of electrical field devices. – limit switches of various types, encoders, scanners, etc. TS Manufacturing is currently seeking a Full-time Project Manager to lead team members to successful completion of their tasks within allocated timelines, budgets and scopes of manufacturing projects. Salary range is $80,000 to $100,000 per year, depending on experience. The Industrial Painter will be responsible for the painting of our sawmill equipment, using mostly quick dry enamel paint. We currently have an opening for our afternoon shift - 3:30 p.m. to 2 a.m. Monday to Thursday. Wage range: $16.00 to $20.00 per hour (plus $1.50 per hour bonus for afternoon shifts). Please email resumes to: Careers@tsman.com. This position requires good communication, troubleshooting and decision making skills to successfully build, install and commission precision machinery. This is a challenging, therefore very rewarding position. Read and properly interpret mechanical drawings and understand weld symbols. Set up components for welding according to specifications. Weld components using either SMAW or GMAW in various positions (vertical, horizontal, overhead). Layout, fit, and fabricate metal components to assemble structural frames and machinery using knowledge of welding techniques, metallurgy, and engineering requirements. Read, analyze and interpret mechanical drawings. Recognize, set up, and operate hand and power tools common to the trade.